Get this Painted Padded Leather Dog Muzzle. Due to soft felt padded upper-nose area your dog will be protected from skin rubbing when the muzzle is on him. 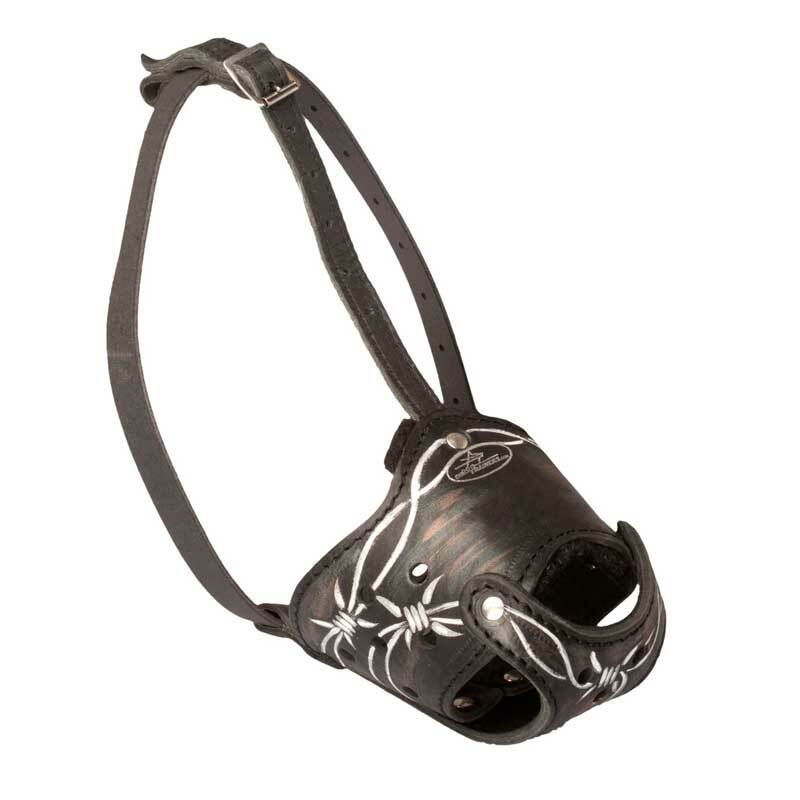 Moreover the muzzle allows good air flow so nothing will interfere with his free breathing. In addition, the muzzle does not stick to the dog’s skin in winter when it is frosty. Barbed wire looks advisably. Our artists paint the muzzles (we have a limited number of such wonderful muzzles-so do not delay in buying the masterpiece) by hand with true love. It is not a cheap printing but professional work. Special innovative technique of applying paint on leather was used. There are 2 adjustable straps. 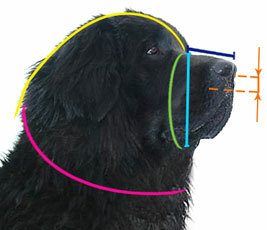 One head strap goes between the dog’s ears and the other-around the dog’s head behind the ears. 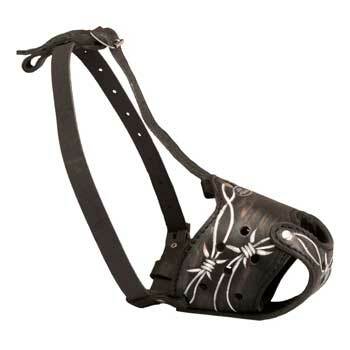 Such arrangement of straps helps to prevent the muzzle from slipping off easily. Also the dog will have to be at the pains to remove the muzzle with his paws.